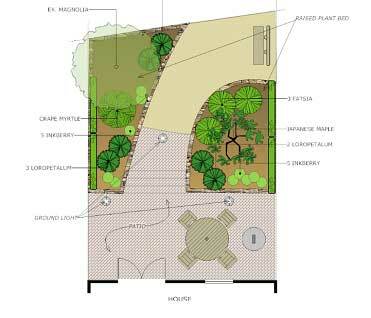 A lot of free landscape design packages are available off the internet for instant download. They don’t replace the experts, however, these packages are very good indeed at providing you with a great way to plan your landscaping. This review will help you understand the choices available and give you as much information as possible about them. 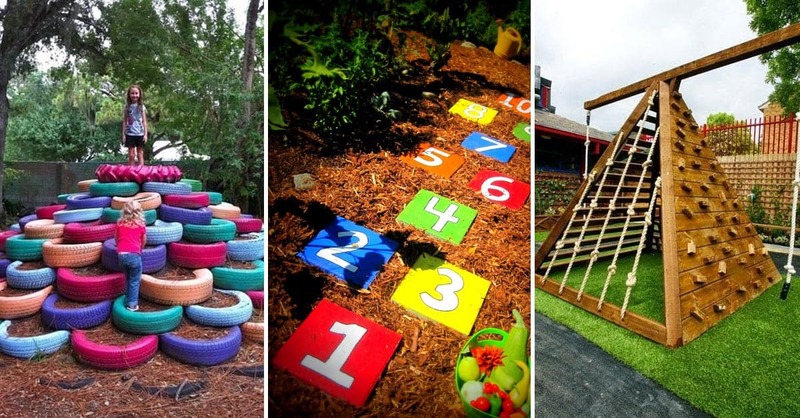 If you would like to get ideas for your back yard look at over 7250 Breathtaking Landscaping Designs WITHOUT Hiring Costly Professional Landscape Designers. So what are the software packages available for download, and what do they have to offer? A more sophisticated and popular choice, Sketchup, from Google, is really a free 3D modeling software. It has many templates for landscaping architecture and design, woodwork, and basic design plans. Excellent 3D rendering: first-class 2D and 3D design models make it a very good choice for those who want to make semi-professional landscaping designs. User-Friendly Interface: Sketchup works using objects called Google components that you can add to your design, ranging from plants furniture, decorations, and even people in different poses. 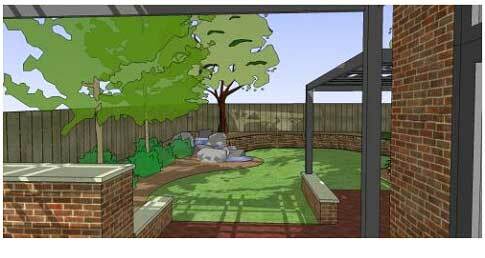 Sketchup gives you plenty of graphic design possibilities and many options to fine tune these designs. •Free Samples: Google warehouse, a website available for free to Sketchup users, has many examples that you can use as a guide. The designs themselves are very easy to modify. Simply add on Google components, and then choose from the many options available to get the design you are looking for. • Excellent Support: Sketchup takes a little getting used to before you can get to use it properly, but many tutorials and training videos are available to make up for that. •Reported Problems: Some users complained about how the software handles memory, while some have had mouse cursor problems. •Operating Systems: Sketchup is available for computers running Windows and Mac OS operating systems. •Powerful 3D Engine: Blender is certainly worth your consideration, especially if you want more control over your design. It has enough power to render mountain landscapes in 3D, and that gives you an idea of how serious it is as a graphics package. To perfect your garden landscaping, fiddle with statue design, and even improve your driveway layout, this is more than enough. •Complete User Interface: The software gives you control over shades, lighting effects, and many other parameters. Enough perspectives and views are possible to view your project from all the angles you can imagine. The user interface is complete and gives you more options to control the objects you plan to use than any of the other software bundle available for free. In fact, maybe a little bit too much for those who prefer simplicity. •Helpful Tips & Wiki Page: Amazingly, you will find tips on the types of watering systems to use for your garden, testing your soil before buying plants, and similar helpful advice. The wiki page from Blender.org goes on to give you more advice like “Avoid planting close to your home’s walls or you may create a haven for pests who want to go inside.” The wiki page is available at ‘ http://wiki.blender.org/index.php/Main_Page ‘. 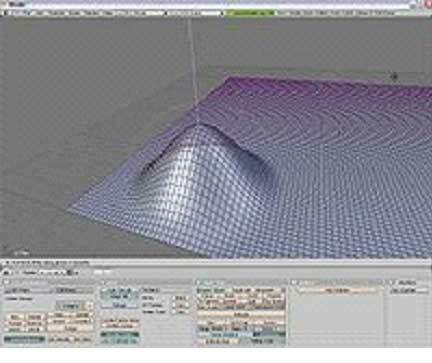 •Free Source: This means Blender is compatible with a wide range of operating systems: Linux, Mac OS, Windows, and UNIX, and most important of all, it’s available for free. On the other hand, it takes some reading to be able to handle. •Reported Problems: Takes some time and reading to learn and use. •Simple 2D Graphics: Even though it offers many perspectives and view, SmartDraw stays basic enough and simple to use. An average user’s pick for residential landscape designs, backyard landscape plans, and residential landscape plans. User-Friendly Interface: SmartDraw is definitely the choice of tool for regular users who don’t plan on doing full-blown designs. It’s easy to use and offers a wide choice of tools to cover the basics. The package provides the user with a list of objects that can be added to the design while drawing tools help the user make smaller changes and elements to the project. •Compatibility: SmartDraw is Compatible with a lot of file formats that are used for graphic design, including regular jpeg and the more sophisticated AutoCAD Interchange, and lets you export your files to other computers for printing or viewing. It offers enough samples for any type of design you are interested in. •Thorough Help & Support: The website offers free support through their website through a contact form. It also offers a Training Page with Three sections: A How To Section with step by step instructions, a Visipedia Section offering an interactive encyclopedia, and VisualCoach, where you can ask an expert instructor for a live Training Session, but costs 400$ per hour. •Reported Problems: The fact that the free version is a trial copy is very sad, especially because of the print-limitations, while the full package offers more functionality than its counterparts, and costs almost 200 US$. • Operating Systems: SmartDraw is available for Windows Machines for the time being. • CNET Ratings: The latest version of the package scored 3.5 out of 5 stars on CNet.com’s User Rating Page (5/5 Editor’s rating) with almost one million downloads. 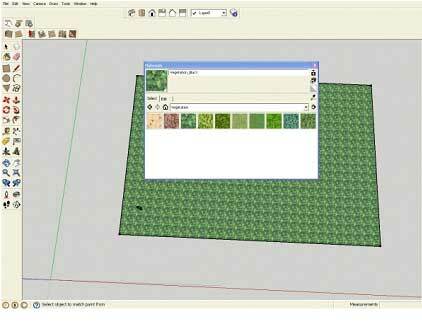 Many choices of Free Landscape Design Software are available. This makes it very hard to find the right one. For those who prefer the easy solutions Sketchup from Google seems to do the job better than any other software bundle available for free download, and is a more realistic option for regular users. But for those who wish to explore their skills a bit more, Blender is definitely a serious choice. It is always interesting to find an easy solution to your problems, since it may save you a few thousand dollars when redecorating your home or refinishing your garden. The decision, of course, remains yours, and hopefully, this will make it easier for you to find what you’re looking for.